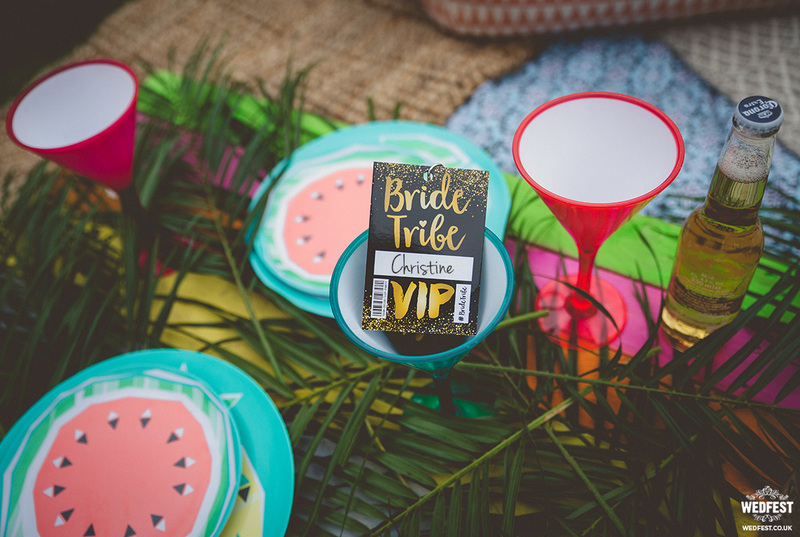 On the back of this we have got to meet and work with some awesome companies who specialise in arranging and planning hen parties or providing hen party activities or both! 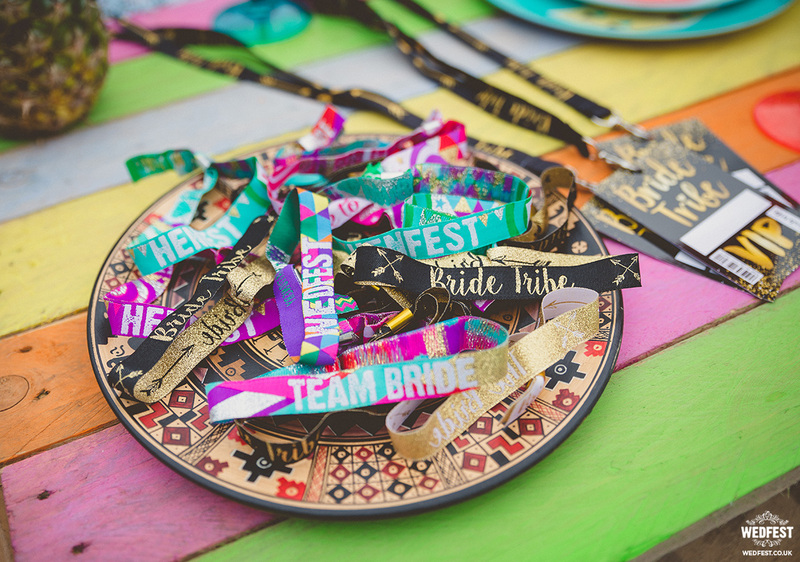 So obviously we pride ourselves on our festival based roots so therefore was only a matter of time before Wedfest and Beautiful Bell’s came together. 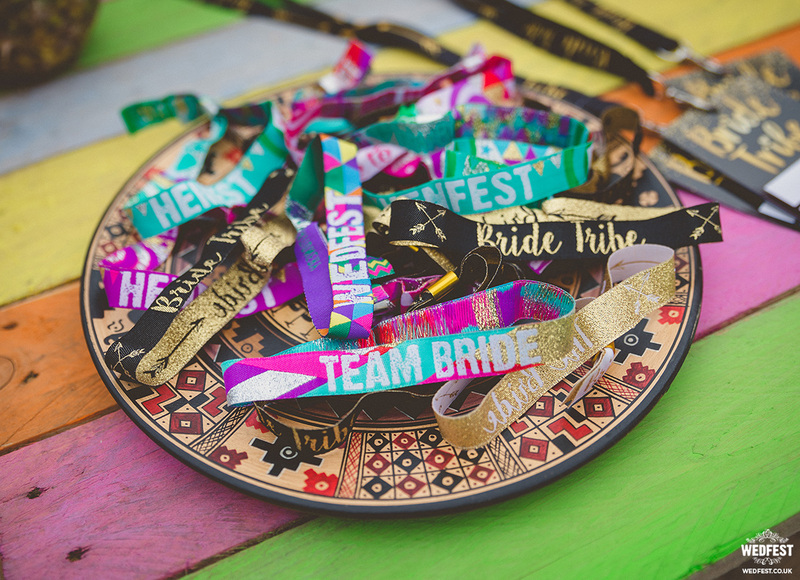 Recently Beautiful Bell’s were doing a photo shoot for their awesome Hen Camp and they used our fabulous range of hen party wristbands and hen party lanyards in their photo shoot. Beautiful Bells – Hen Camp! Based on the South Coast of the UK we are totally blessed being so close to the New Forest – which is definitely our No. 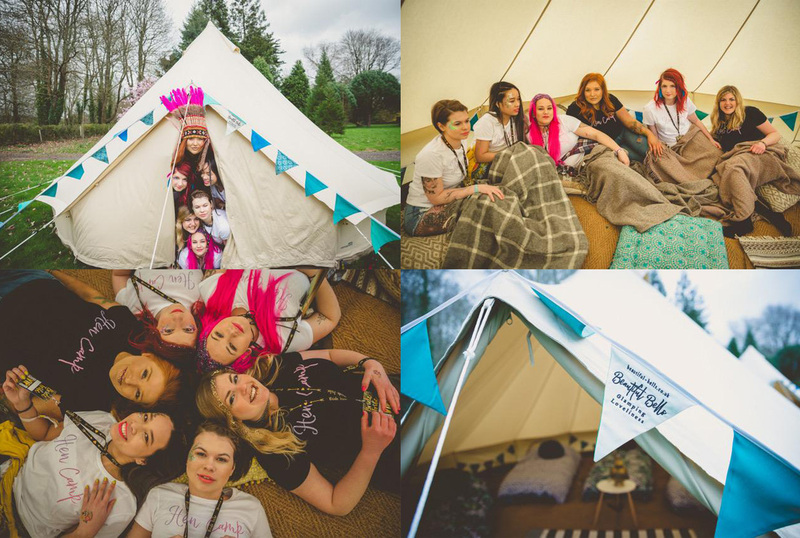 1 ‘go to’ spot for hen party glamping. 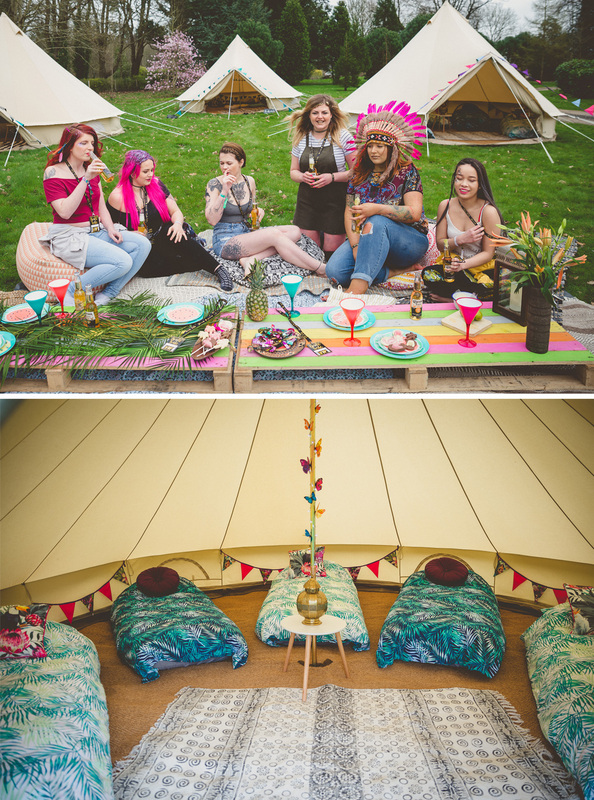 Firstly we know some fabulous campsites that are hen friendly (not all are – please do check this if you’re thinking about booking a campsite for a hen weekend), but most importantly there’s such a diverse range of activities in the area for hens to enjoy: From afternoon tea to kayaking down the river to the pub! 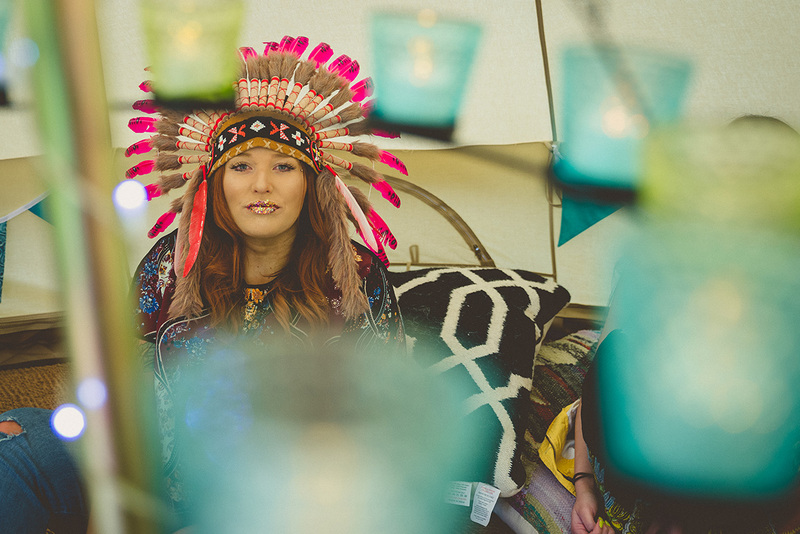 But as a fully mobile service, we can set up camp wherever you’d like us too – whether that’s a campsite, a friends field, or even a back garden. 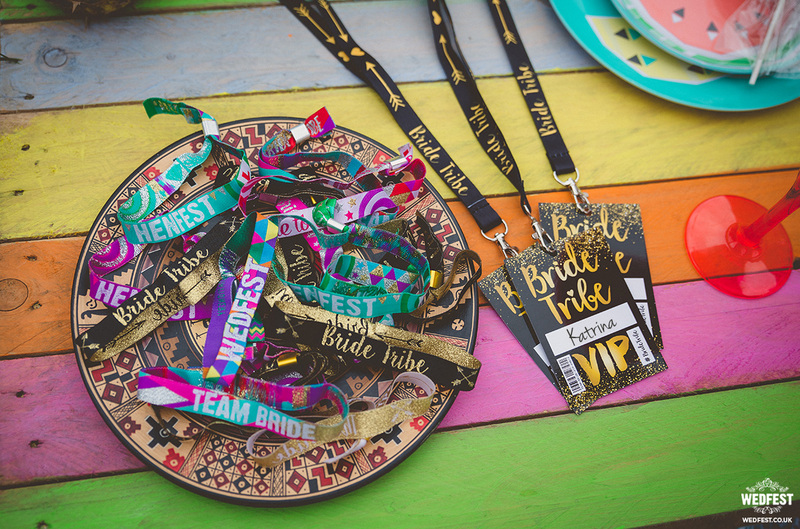 We’ve been working with hen parties for over 4 years now and it’s popularity is still growing! If you’re working on a budget it works out more cost effective than booking hotels, and you also get to stay together, rather than 10 different hotel rooms on different floors. 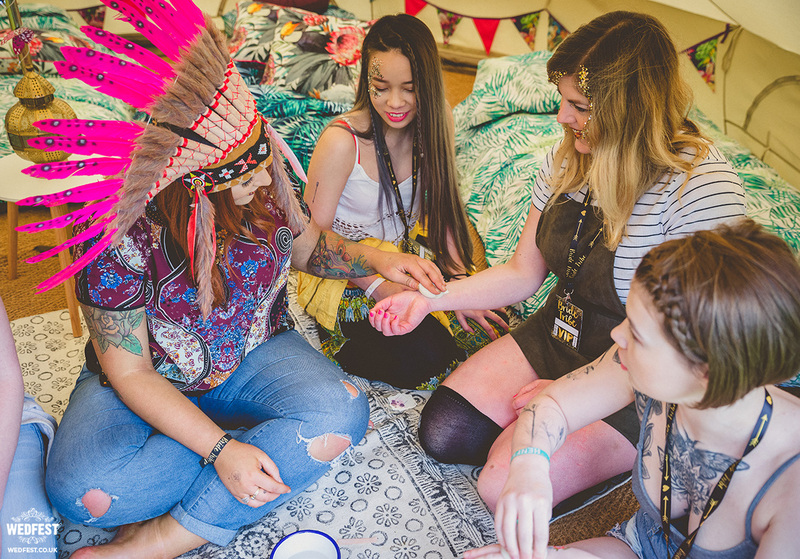 We’ve also arranged hen weekends for our own friends too. 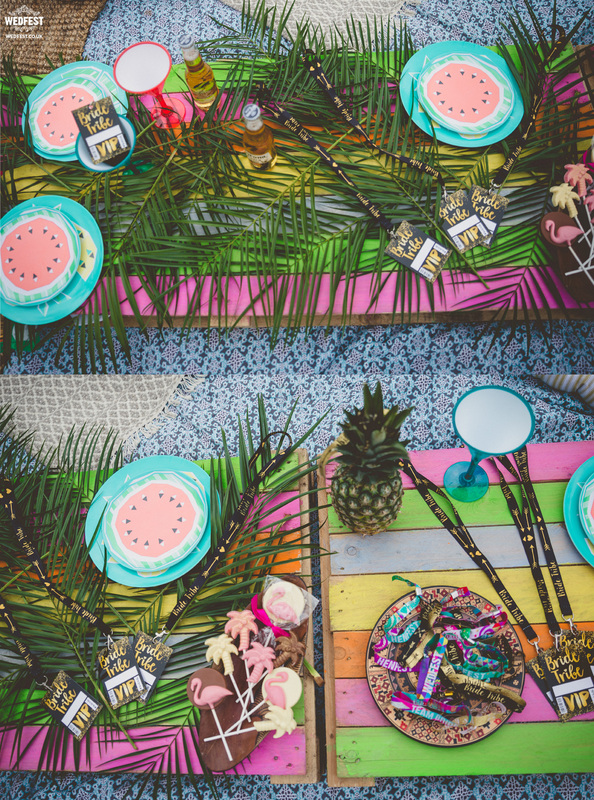 So we know how stressful it can be getting dates organised, worrying about the weather, the pressure of getting it all right and everyone getting along. So we’ve done our bit to help! 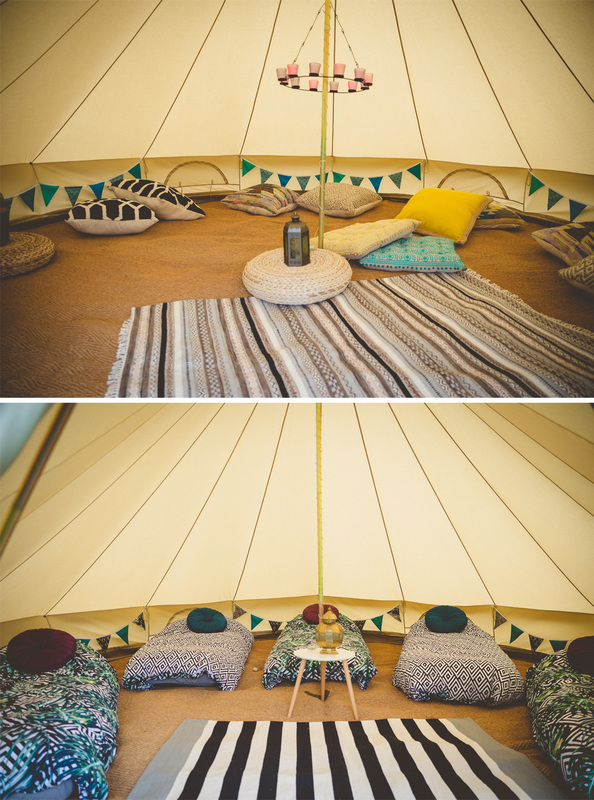 We’re able to provide tents for sleeping and also chill out tents, so if our (sometimes) temperamental English weather throws a curve ball, then you have an undercover area for eating, playing games and relaxing in. We also don’t take full payment up front. 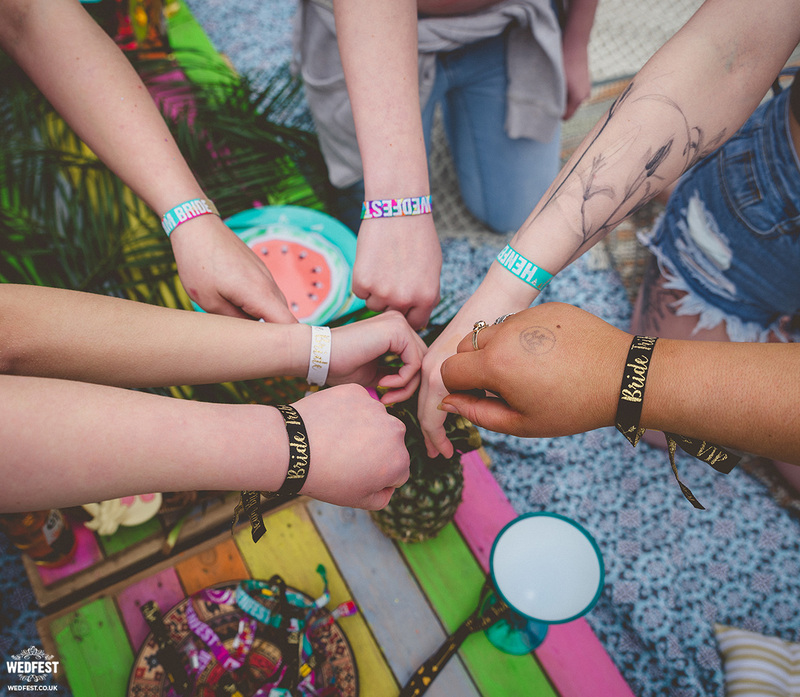 We take 25% at booking, and the balance isn’t due until 28 days before – so plenty of time to gathering in the money from everyone. 2: Get yourself a wing woman to help you organise things. A load shared is a load halved. 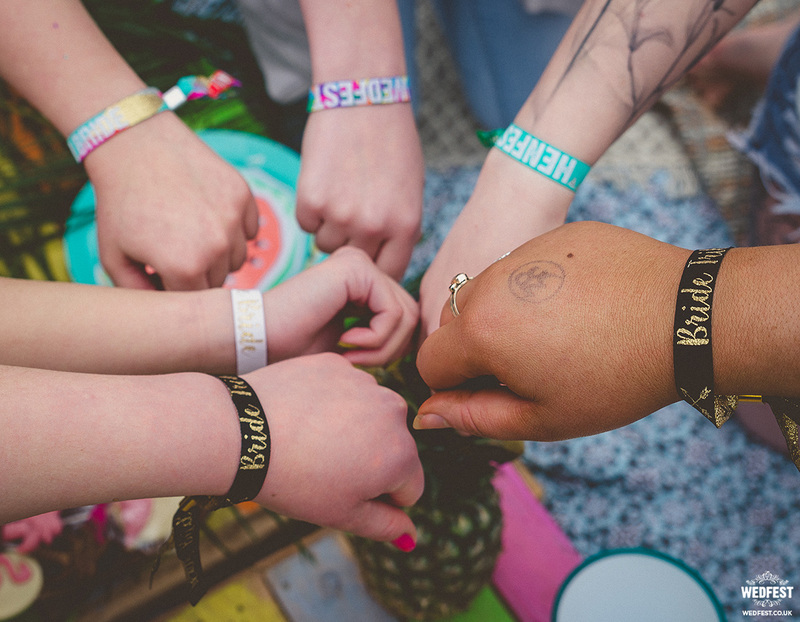 4: Set up a bank account for the hen party and get people to pay in as and when they can – gradually. This tip came for one of our previous hens who said it took all the money stress away. 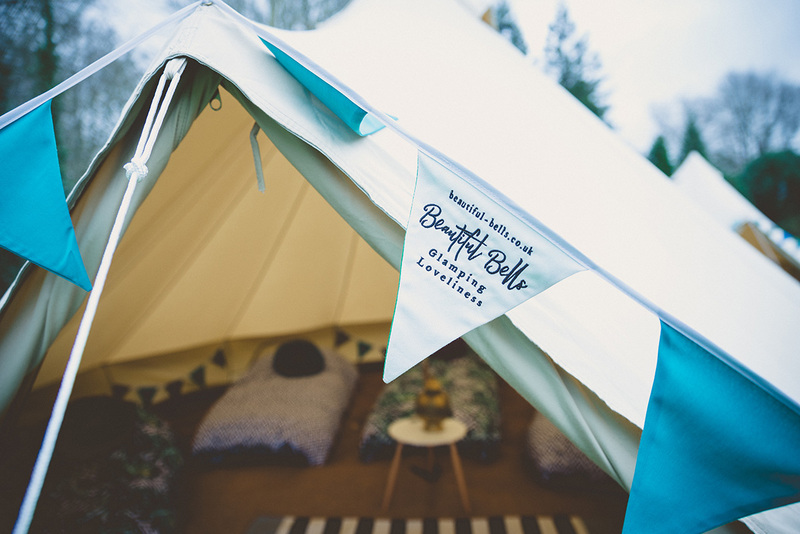 From Spring 2018 we are now working in conjunction with a fabulous campsite on the outskirts of the New Forest to bring you your designated bell tent hen camp. Please contact us for pricing and availability. 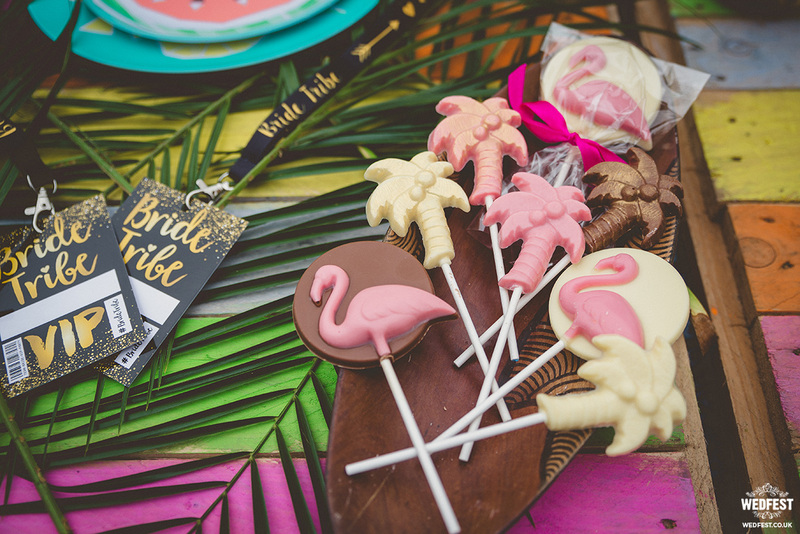 Thanks to Beautiful Bells for their fab write up on their awesome hen party packages, and thanks to Paloma for these totally beautiful photos, be sure to check both websites out for more information and ideas.